Welcome to my new website! Like many other artists, after a year or two I start to get pretty bored with my website and the time comes for a change. Have a look around if you like, and feel free to let me know if something isn’t working right. In addition to the new site, I’ve got a new tool to help me get more work done when I’m away from my studio. About a week ago I invested in a Microsoft Surface Pro. I’m still getting acquainted with it but, so far, I really like it. I was looking for a tablet that would be good for drawing (meaning I could install software on it) and that would be totally portable. 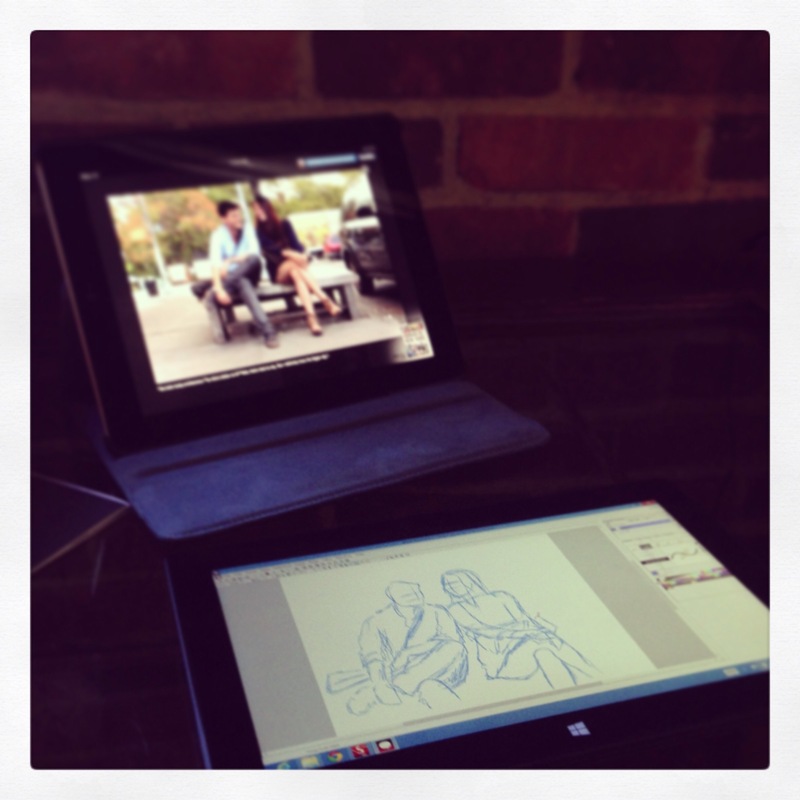 It all started with Wacom announcing their new Cintiq models that are designed for portability. Those are a bit out of my price range, so the Surface Pro was it. Here are some shots I took while playing around with it. I have only been using the pen that comes with the tablet which is pressure sensitive but I will soon be receiving a Wacom Bamboo Feel Stylus. 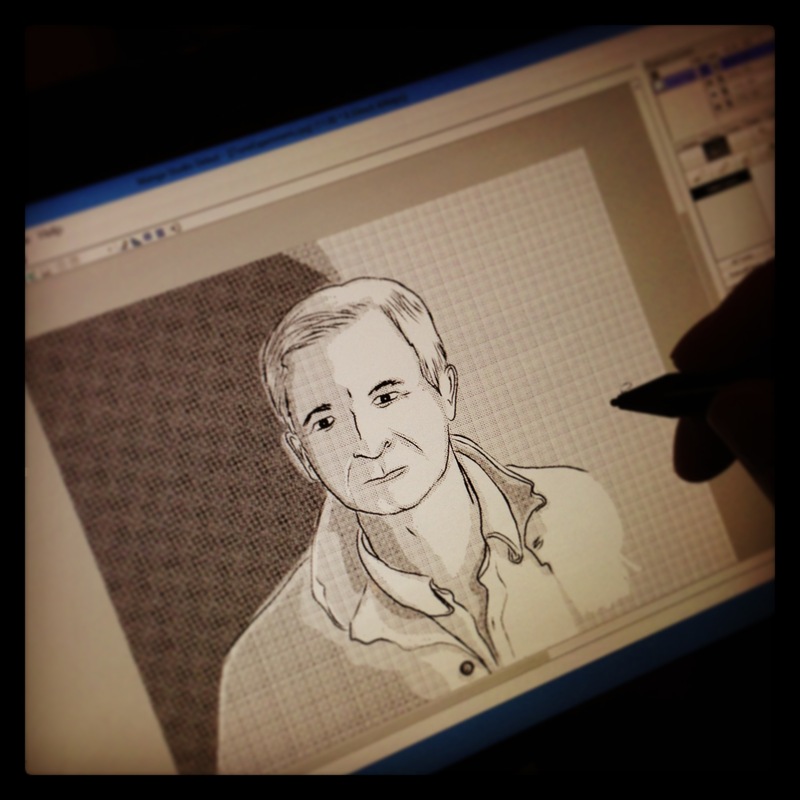 It works with the Surface Pro and, from what I’ve read, will have a much more accurate stroke. In the pictures above I’m using a trial version of Manga Studio Debut, which is pretty limited but it was enough to help me figure out if this was the right tablet for me or not (Microsoft gives you 14 days to return it with no fees). I’ve also ordered Manga Studio 5 that I will install on the Surface Pro for drawing and painting. I’m thrilled to have a way to get real work done on the road (I don’t have a laptop) and also to save on the printer paper I regularly use for sketches and storyboards. I will try to post a more thorough review once I’ve had the chance to work with it more.